The beginning of the year is a perfect time to launch new small groups at a church. January is normally a growth season for churches, as people return after making spiritual growth resolutions. Whether you decide to launch a campaign with all of your groups studying the same content for a few weeks, or just have new groups available for new people to join, there are a few things you can do to help the launch go as smoothly as possible. 1. Provide coaches for new leaders. No matter how much training you provide for your new leaders, they will almost always run into issues during group meetings that they need answers for. The best source for providing those answers will be seasoned group leaders who have been there before. Every new leader should be assigned a veteran leader that can be one email or phone call away when questions arise. 2. Start enough groups for expected growth. Before you launch your groups, make sure there are enough groups to accommodate the people wanting to join. It’s much easier for new people to stick to a new group than an existing one. Existing groups already have relationships formed and a new person will feel left out, no matter how open the group members are. Use last year’s January attendance numbers to help calculate how many new groups and coaches you will need to recruit before your sign-up weeks. 3. Use multiple weeks for sign-ups. Most people only attend church one or two Sundays a month. If you only offer sign-ups for small groups on one weekend, you will miss over half of your congregation. Sign-ups should be offered at least two weeks in a row, with opportunities also available on the website for those who still missed it. 4. Have the senior pastor make the initial push. If biblical community is an important piece of discipleship for your church, then the initial call should come from the senior leader. The congregation will need to hear the “why” behind small groups before they understand the “what.” No one can do that better than the lead vision caster for the church. 5. Provide biblically solid, easy-to-use curriculum. It’s easy to spend a lot of time thinking about the details of the launch and little on what the groups will be studying. 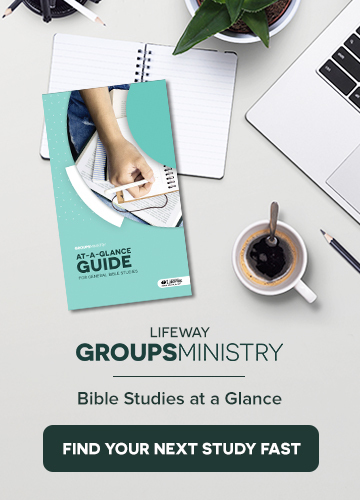 If groups are going to make disciples, they will need an easy-to-use Bible study to spur the necessary discipleship conversations. Aligning your groups with the Sunday messages is a good direction to start with. SmallGroup.com can help you write solid sermon-based studies without taking too much of your time. 6. Be ready to adjust after the launch. It doesn’t matter much preparation you have put in before the launch, there will inevitably be groups that never get off of the ground. It may be because of location, time, personality or many other factors, but you have to be ready to adjust for those new leaders. Look for a way to combine groups in the same area, or ask the leaders to help another group for a semester before launching again in the spring. 7. Give groups a next step after launch. If you want your groups to continue to succeed after the initial launch, you need to think about easy next steps for them. What will they study after the short-term campaign is over? Will they continue with a coach? Will they need to add group members at the next sign-up opportunity? Provide a roadmap for them, and your new groups will last beyond the first semester. The Groups Matter Podcast—Episode 13: Group Multiplication: Good Idea or Not? SUMMARY: In this episode, Brian and Rick speak with Jeremy Linneman about the often controversial practice of group multiplication. Jeremy discusses the theological basis of group multiplication and the pattern of calls to mission as detailed in Scripture, and he shares some advice for dealing with group leaders or group members who are resistant to group multiplication. Rick offers some insight about the benefits of group multiplication for smaller churches, and Brian and Rick discuss the stages of group life and the aim of multiplying at the optimum time. In addition, Brian and Rick discuss a blog post by Jim Egli titled Four Reasons Why Praying Leaders Have Faster Growing Groups, and Rick shares his list of the week about the four levels of relationship and why these relationships are important to group life. The Groups Matter Podcast is a weekly show designed to resource, train, and encourage small group leaders. Each episode considers current trends and resources as well as timeless truths and methods of discipleship. It is hosted by Brian Daniel, a Bible study expert from the LifeWay Groups Ministry Team, and Rick Howerton, the discipleship and small group specialist at LifeWay and author ofGUEST: Jeremy Linneman is pastor of community life at Sojourn Community Church, a diverse, multi-congregational church in Louisville, Kentucky. Jeremy oversees Sojourn’s family of more than 150 community groups and is active in preaching and counseling at its East Campus. He is a graduate of the University of Missouri (B.A.) and Southern Seminary (M.A.) and is a certified leadership coach. He writes on community and culture at jslinneman.com. He and his wife, Jessie, have three sons. EPISODE SPONSOR: This week’s episode is sponsored by The Disciples Path series, a 6-session Bible study on systematic discipleship created for smaller groups of 2-8 members. The Disciples Path was created by a group of 14 disciple-makers from churches of different sizes and different denominations across the country. Find more information at lifeway.com/disciplespath.